We’re getting excited for this year’s Day of Unity. Check out our list of confirmed programs and sign up for one (or several) that looks just right for you! The Day of Unity (DOU) is an annual, coordinated day of local, grassroots action and community building around the DC metro area. It is an opportunity for people of different faiths, or of no faith, to come together and create an event at the local level. The event could be anything from a meal, to a dialogue, to a community project, to a shared worship service or any other activity that brings people together across faith traditions. This year, the DOU will be on Sunday, May 5th. 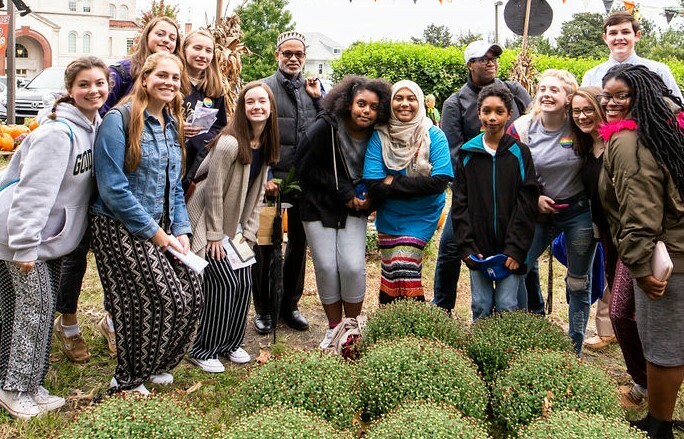 Examples of past Day of Unity events include, participation in a pancake breakfast to feed the homeless, shared worship, environmental programming, and an interfaith Iftar. 1) Each event must involve at least two different faith or ethical communities (i.e. Christians and Muslims, Jews and Sikhs, etc). 2) You are responsible for organizing the event as well as for promoting the event within your networks. 3) Appoint a liaison that will work with us to ensure a smooth event as well as help us spread the word effectively.